John and Erica Mason-Grey are hard-working artists and loving parents—but when John dies, their teenage daughter Mona’s casual drug use spirals into heroin addiction. She and her mother soon begin an anguished game of hide-and-seek leading to countless arguments, arrests, thefts, rehabs, and relapse, a recurring nightmare that seems to have no end. Ultimately, it’s only when each of them finds a way to accept their new reality—Mona by taking charge of her own recovery, and Erica by focusing on her own vitality—that each experiences the unexpected joy and renewal that await those who decide to stop living in the bad dream of addiction. 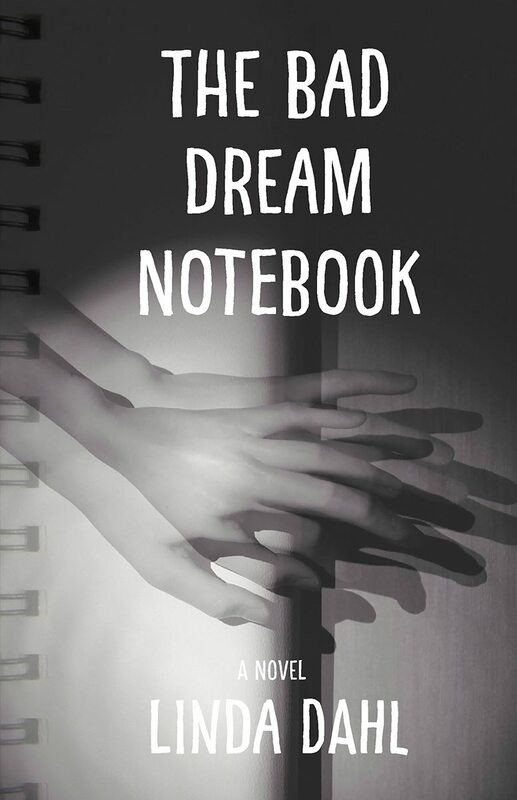 Unflinching about the ways the disease of addiction can torpedo a family yet leavened with dollops of humor, The Bad Dream Notebook will resonate with anyone who has lived through the agony of a loved one’s drug dependency. This novel details a family’s experience with addiction in a way no guidebook can. It captures the rational and irrational fears, the spiral of addiction, and the tension of an ill-timed event. It is a trip through the emotional house of horrors families of an addict must contend with. But Linda Dahl also clearly understands the power of art (a painter in her story–but it could be any art form) to help heal and restore. The conclusion moved this parent to tears. I have to believe that this book is restorative not only for the reader, but also for the author. “The Bad Dream Notebook” by Linda Dahl is a haunting, eye-opening novel about the absolute tragedy of addiction, the grief of loss, and the struggle to climb out of the depths of despair and hopelessness, toward a healthy, productive life. Erica Mason has a seemingly perfect life–until everything falls apart. With the death of her husband and her teen-aged daughter’s escalating drug problem, every day is a challenge and she’d not sure how much more she can take. Though Erica has years in recovery from her own addiction, she is ill- prepared to help her daughter Mona. Her co-dependency, enabling, and utter blind-spot of anything having to do with Mona, could be the ultimate undoing of them both. I found “The Bad Dream Notebook” to be a very engrossing read. It enraged, surprised, and filled me with both despair and hope on almost every page. Honestly, it is a hard story to stomach, as the author draws the reader into the dark world of addition with harrowing depictions inside the mind of the addict and those that love them. I enjoyed the concept of each chapter beginning with a dream sequence. It set the tone for consistency and I’ve always been a fan of the journal entry approach. The dreams are dark and disturbing, and infuse a brief moment of disorientation– much like when you awaken suddenly from a dream that was so vivid, yet you can’t remember what happened to save your life! The characters are as authentic as they are maddening. The actions of both Erica and Mona had me fuming many times, actually repeatedly throughout the book. I truly can’t say which one of them presented the most irritating and outrageous behavior: Mona’s attitude, treatment towards her mother, and the lengths she would go to in order to “score,” or Erica’s complete enmeshment with Mona and the things she did to enable her daughter’s actions. Aaarrgghh! Great writing! I recommend “The Bad Dream Notebook” by Linda Dahl to anyone who has ever been through, or knows someone who has experienced the turmoil of addiction, as well as anyone with an interest in the topic. It is an insightful, honest, and compelling story that will at first break your heart, then deepen your compassion, and finally, restore hope. An unexpected ride that honors loss, celebrates renewal and teaches readers love can heal even the nastiest of wounds, The Bad Dream Notebook is one of 2017’s most emotional reading experiences. Compelling and insightful, The Bad Dream Notebook, takes readers on a powerful ride on the rollercoaster of addiction. Linda Dahl has brought to the page what so many families live through in the real world each day. For anyone who struggles with addiction, loves someone who does, or simply wants to learn about how addiction impacts families, The Bad Dream Notebook is an engaging and enlightening read that will leave you with a deeper sense of understanding and compassion.